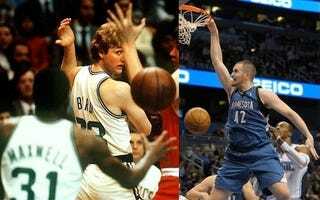 George Karl, on Kevin Love: "I think we used to call him a poor man's Larry Bird. I think you can take 'poor man' off that comparison now." So Kevin Love is Larry Bird, despite having played three-and-a-half seasons and being a completely different type of basketball player? Got it.